What is it that makes humans human? As science and technology challenge the boundaries between life and non-life, between organic and inorganic, this ancient question is more timely than ever. 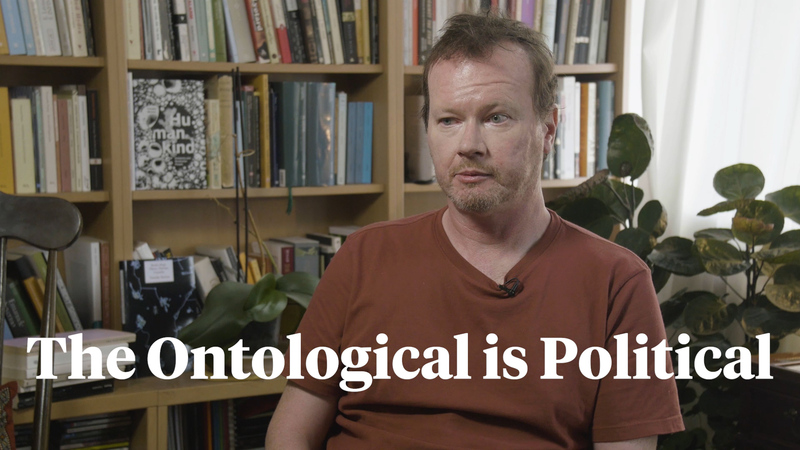 In his new book, Humankind, cclaimed Object-Oriented philosopher Timothy Morton invites us to consider this philosophical issue as eminently political. In this interview, he discusses the political idea of the collective, subscendence, solidarity, fighting Nazis, and lots more. Humankind: Solidarity with Non-Human People, by Timothy Morton, is out now. You can also listen to this interview via Soundcloud. It is in our relationship with non-humans that we decided the fate of our humanity. Becoming human, claims Morton, actually means creating a network of kindness and solidarity with non-human beings, in the name of a broader understanding of reality that both includes and overcomes the notion of species. Negotiating the politics of humanity is the first and crucial step to reclaim the upper scales of ecological coexistence, not to let Monsanto and cryogenically suspended billionaires to define them and own them.